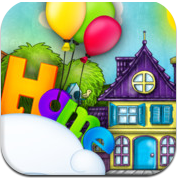 Kids at Home is a great educational app for kids. The lessons really do begin at home! Presented to us by KidoState Limited, this app features 99 words that kids learn at home. 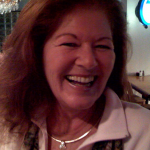 They are objects and actions and there is the ability to tap deeper for names of many objects in many rooms. Great concept for them to see and hear the words they know and super reinforcement for word recognition and pronunciation. The more we can help them learn before school, the better they will do! The graphics are really good and the setting is a peaceful home for kids to learn. Tap the Actions at the top or Explore the refrigerator! The living room is loaded with words to learn! Lots of Fun in the bathroom! Have a ball in the kid’s room! What was the initial inspiration for Kids at Home? To make app that is in strong balance for Education and Entertainment. To give our kids the app that we can be sure that they will love it and they will also play with it for while. This is in our opinion is the best thing! Animations – we made it really nice and worked for it very much! We will do it even better in the future. We are working on additional game to be placed in this app. So kids can now have fun and test their knowledge.